China’s main stock market index closed higher Friday ahead of the US jobs data and with expectation that there could be further support measures for the world’s second largest economy. 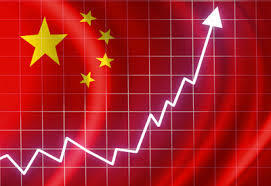 Investors bought into anticipation that there could be further stimulus announced by Beijing over the weekend. Meanwhile the Bank of Japan held monetary policy steady as inflation figures are on target to hit 2 per cent. The central bank is optimistic that the economy is showing moderate improvement and that no further stimulus measures are necessary.